Blanche of England was born in the spring of 1392 as the daughter of the future Henry IV of England and Mary of Bohun at Peterborough Castle. She was their sixth child and her mother would later die giving birth to her seventh child. Blanche was probably named for her grandmother Blanche of Lancaster. 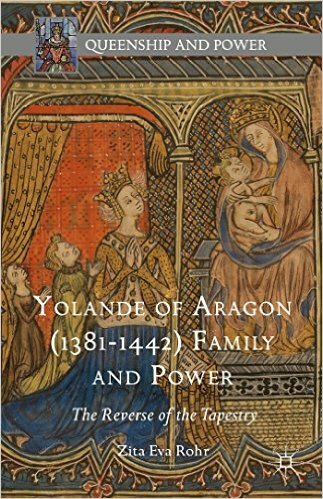 Her father became King in 1399 after deposing his cousin Richard II and he sought to make alliances in marriages for his children. 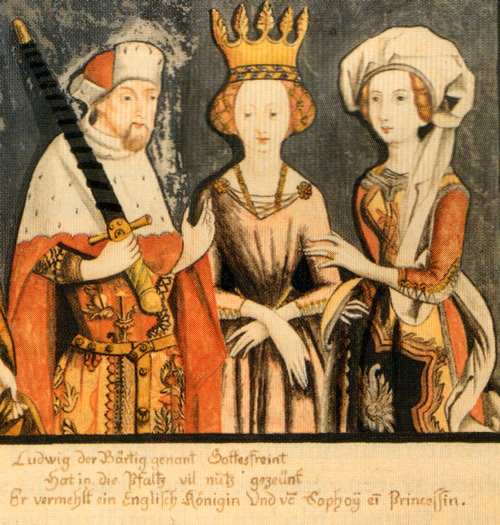 He needed an ally in King Rupert of Germany and Blanche soon found herself promised to the King’s eldest son, Louis. The marriage took place on 6 July 1402 at the Cologne Cathedral. Blanche had a dowry of 40,000 nobeln and it included a lovely crown, which survives to this day, and you can still view, it in the treasury of the Munich Residenz. Despite the fact that it was an arranged marriage, they were said to be quite happy and just four years later Blanche gave birth to a son, who was named Rupert after, his grandfather and he was later nicknamed The English. 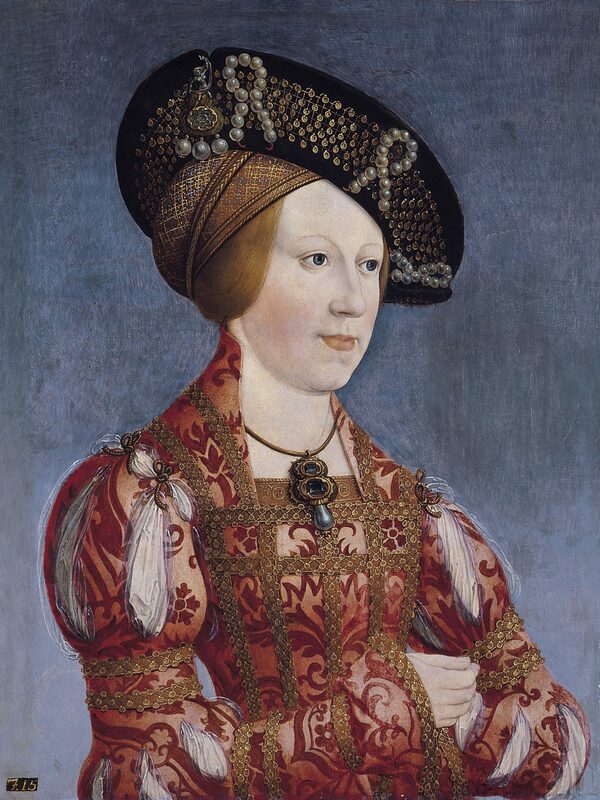 In 1408 Blanche became a Lady of the Garter in her father’s reign, but she would not live long after that. While pregnant with her second child she suffered from frequent fevers.We know from a letter from her husband to his father that she had intermittent fevers during her visit to Hagenau. She often fainted and had nosebleeds. Though we may never know the true cause of these fevers, she eventually died on 22 May 1409, still only 17 years old. Her child died with her, she was approximately six months pregnant. ‘On the most unhappy morning of May 22nd, my wife passed from this evil world into a better one’, he wrote. She was buried in the Church of St. Mary (now known as St. Aegidius) in Neustadt. 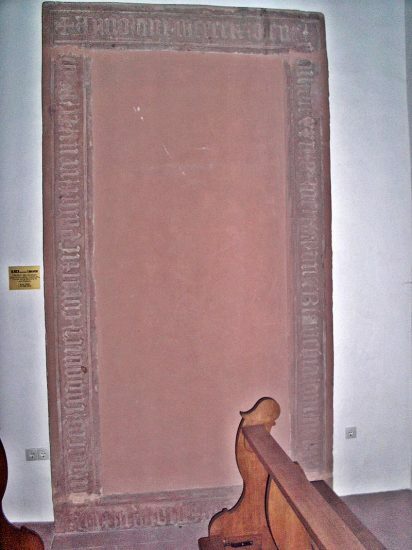 Her grave is still there, but the tombstone has been moved to the wall, perhaps to prevent further damage. Her husband remarried 8 years later and he became Elector Palatine in 1410. He was never King of Germany as you had to be elected to this title, thus Blanche was neither Electress Palatine nor Queen of Germany. Her son Rupert died at the age of 19, unmarried and without issue.